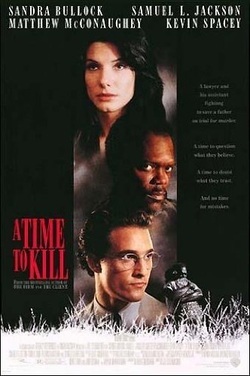 Win "A Time to Kill" Book/DVD Bundle Prize Package! !ohn Grisham’s first novel is still my favorite! This book is a must for any fan of crime and legal thrillers. And the movie, starring Matthew McConaughey, Sandra Bullock, and Samuel L. Jackson, is an excellent interpretation. “The life of a ten-year-old girl is shattered by two drunken and remorseless young men. The mostly white town of Clanton in Ford County, Mississippi, reacts with shock and horror at the inhuman crime. Until her black father acquires an assault rifle and takes justice into his own outraged hands. Enter to Win A Time to Kill Book/DVD Bundle! For occasional text updates and promotions. I respect your privacy and will not sell or give your information to anyone. * One entry per person per giveaway. Additional entries will be discarded. * Open to United States residents only. * Entries close at midnight PST on March15, 2012. * Winner will be notified by email.